For previous Constitution of the Russian Federation (1978–1993), see 1978 RSFSR Constitution. For other constitutions and the Fundamental Laws of the Russian Empire, see Russian constitution. Not to be confused with Constitution of the Soviet Union. The current Constitution of the Russian Federation (Russian: Конституция Российской Федерации, Konstitutsiya Rossiyskoy Federatsii; pronounced [kənsʲtʲɪˈtutsɨjə rɐˈsʲijskəj fʲɪdʲɪˈratsɨɪ]) was adopted by national referendum on December 12, 1993. Russia's constitution came into force on December 25, 1993, at the moment of its official publication, and abolished the Soviet system of government. The current Constitution is the second most long-lived in the history of Russia, behind the Constitution of 1936. 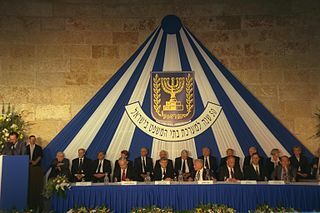 The 1993 Constitutional Conference was attended by over 800 participants. Sergei Alexeyev, Sergey Shakhray, and sometimes Anatoly Sobchak are considered as co-authors of the constitution. The text of the constitution was inspired by Mikhail Speransky's constitutional project and current French constitution. US Agency for International Development, also known as USAID (banned in Russia since 2012) drafted main concepts of the Constitution. Misleading wordings of certain sentences introduced concepts that very few countries have, including priority of international laws over domestic laws (15.4), right of overseas ownership of natural resources (9.2), ban for the government to be guided by a national ideology (13.2) and other concepts that hurt national sovereignty. Especially on human rights and fundamental freedoms, the Constitution provides for human rights and freedom of citizen according to the universally recognised principles and norm of international law as well as the Constitution and affirms that the listing in the Constitution of the Russian Federation of the fundamental rights and freedom shall not be interpreted as a rejection and derogation of other universally recognised human rights and freedom. Dmitry Medvedev takes the presidential oath with his hand resting on the Constitution, May 7, 2008. The Constitution of the Russian Federation specifies that the President is the Russian head of state, setting domestic and foreign policy and representing Russian both within the country and internationally [Article 80]. While the original constitution stipulated a four-year term and a maximum of two terms in succession, the current constitution decrees a six-year term. The four-year term was in effect while Vladimir Putin served his first and second terms; with the two-term limit he was barred from the presidency in 2008. Instead, he served as Prime Minister while Dmitry Medvedev served as president for four years. Putin was re-elected to his third term in 2012; with the six-year term, he was elected to his fourth term in 2018. Article 81 specifies the method of election, including a secret ballot; Articles 82 - 93 detail powers, responsibilities, and limitations of the presidency. The constitution provides for a 'strong presidency'; not only is the president the "Supreme Commander-in-Chief of the Armed Forces of the Russian Federation", the president also has the power to dissolve the State Duma. The legislature is represented by the Federal Assembly of Russia, which consists of two chambers: the State Duma – the lower house, and the Federation Council – the upper house. The two chambers possess different powers and responsibilities, while the State Duma is of more significance, as the State Duma carries the main responsibility for passing federal laws. 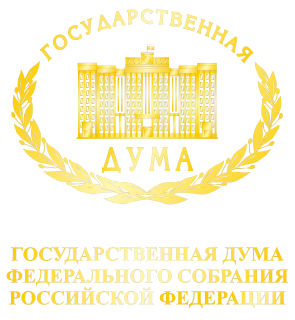 Although bills may originate in either legislative chamber (or submitted by the President, the government, local legislatures, the Supreme Court, the Constitutional Court, or the High Arbitration Court), they must be first considered by the State Duma and be adopted by a majority vote before it could be turned over to the Federation Council, which has 14 days to take a vote on it. If rejected, the bill will be returned to the State Duma, which then can only pass it with a two-thirds vote again in the same form. If a bill is adopted by the Federation Council, it must be signed by the President to become law. The President has a final veto, but the State Duma and Federation Council also have the overriding power by passing a two-thirds vote. While the Russian Federation Constitution enumerates a strong and independent judicial branch, the reality is a question of debate. The constitution provides for judicial immunity, lifetime appointments/"irremovable" justices, and the supremacy of the courts to administer justice, and affirms that judges need only submit to the constitution and the federal law. Additionally, Article 123 provides for open and fair trials, as well as equal application of the law. Three courts are delineated: Constitution Court of the Russian Federation, the Supreme Court of the Russian Federation, the Higher Arbitration Court, each "Appointed by the Council of the Federation upon the proposals by the President". The Constitution requires 19 judges for the Constitution Court, but does not specify the number of justices for the other courts. As of 2002, the Supreme Court has 115 members; due to expansion of duties in 2014 the number of seats was increased to 170. In September of 2014, the Institute of Modern Russia reported that the Russian Federation's Supreme Arbitration Court had been dissolved, and judicial matters previously under its authority had been transferred to the jurisdiction of the Supreme Court. ^ Ministry of Foreign Affairs of the Russian Federation. ^ "Chapter 4. The President of the Russian Federation - The Constitution of the Russian Federation". www.constitution.ru. ^ a b c "Chapter 7. Judicial Power - The Constitution of the Russian Federation". www.constitution.ru. ^ "Russian Constitution SECTION ONE Chapter 7". www.departments.bucknell.edu. ^ a b Mishina, Ekaterina (September 30, 2014). "Who Shall Judge?". Partlett, William. The Dangers of Popular Constitution-Making, Brooklyn Journal of International Law, Volume 38, 193-238 (2012). Available at http://papers.ssrn.com/sol3/papers.cfm?abstract_id=1924958. 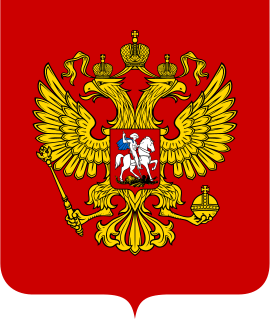 Wikimedia Commons has media related to Constitution of the Russian Federation. The Constitution of the Czech Republic is the supreme law of the Czech Republic. The current constitution was adopted by the Czech National Council on 16 December 1992. It entered into force on 1 January 1993, replacing the 1960 Constitution of Czechoslovakia and the constitutional act No. 143/1968 Col., when Czechoslovakia gave way to the Slovak Republic and the Czech Republic in a peaceful dissolution. The Constitution of the Republic of Kazakhstan is the highest law of Kazakhstan, as stated in Article 4. 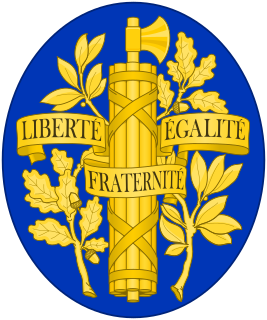 The Constitution was approved by referendum on 30 August 1995. This date has since been adopted as the "Constitution Day of the Republic of Kazakhstan". The Constitutional Court of the Czech Republic is a specialized type of court which primarily works to protect the people in the Czech Republic against violations of the Constitution by either the legislature, government or by any other subject that violates people's constitutional rights and freedoms. In this respect, it is similar in functionality to the US Supreme Court, but is distinct from the Supreme Court of the Czech Republic. Of all the various levels of the Czech Judiciary it is the one created with the greatest specificity in the constitution. The Basic Laws of Israel are the constitutional laws of the State of Israel, and can only be changed by a supermajority vote in the Knesset. Many of these laws are based on the individual liberties that were outlined in the Israeli Declaration of Independence. The Basic Laws deal with the formation and role of the principal institutions of the state, and with the relations between the state's authorities. They also protect the country's civil rights, although some of these rights were earlier protected at common law by the Supreme Court of Israel. The Basic Law: Human Dignity and Liberty enjoys super-legal status, giving the Supreme Court the authority to disqualify any law contradicting it, as well as protection from Emergency Regulations.